BROOKLYN, MICH. (August 22, 2011) – Dave Blaney drove the No. 36 Accell Construction Chevrolet to the 34th starting position in the Pure Michigan 400. 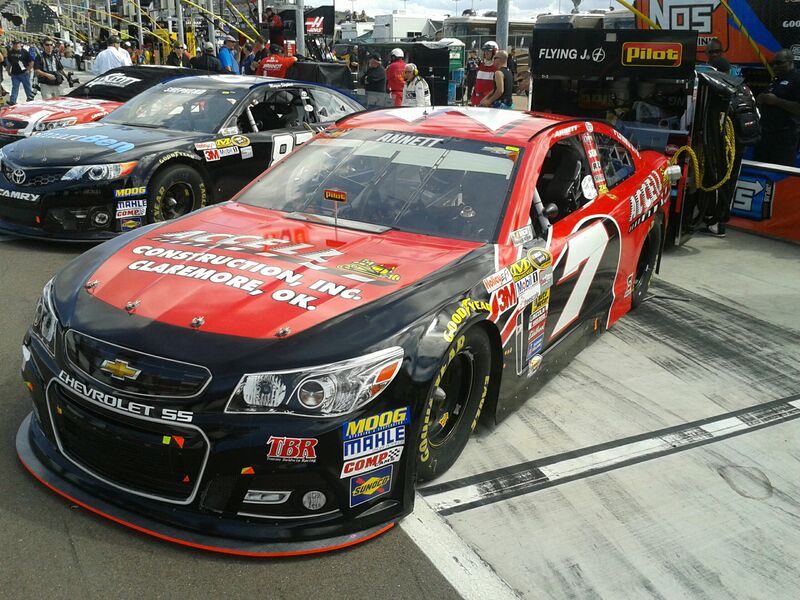 After struggling with handling, a pit road mistake and running out of fuel, the Tommy Baldwin Racing (TBR) team brought home a 33rd-place finish. 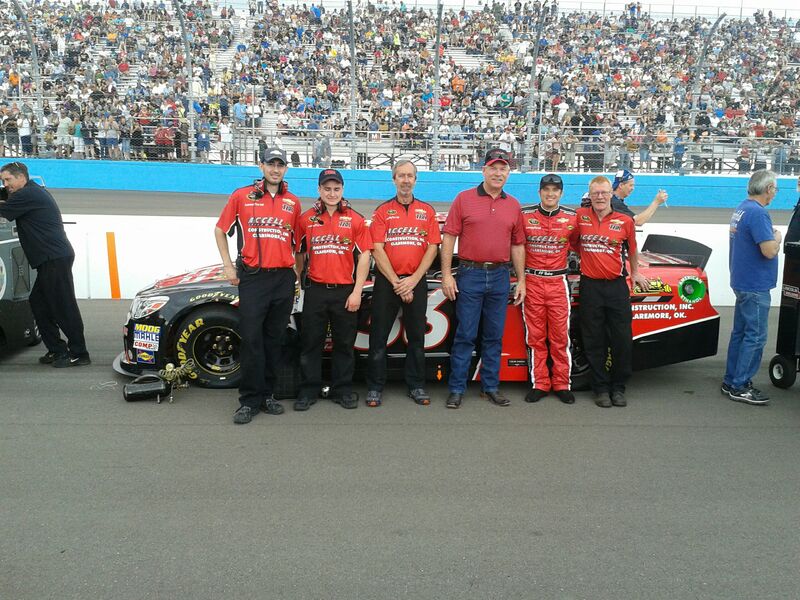 The finish kept TBR in the 32ndposition in the NASCAR Sprint Cup Series (NSCS) Owner Points. Friday, Blaney posted the 35th-fastest time in first practice. He wheeled the No. 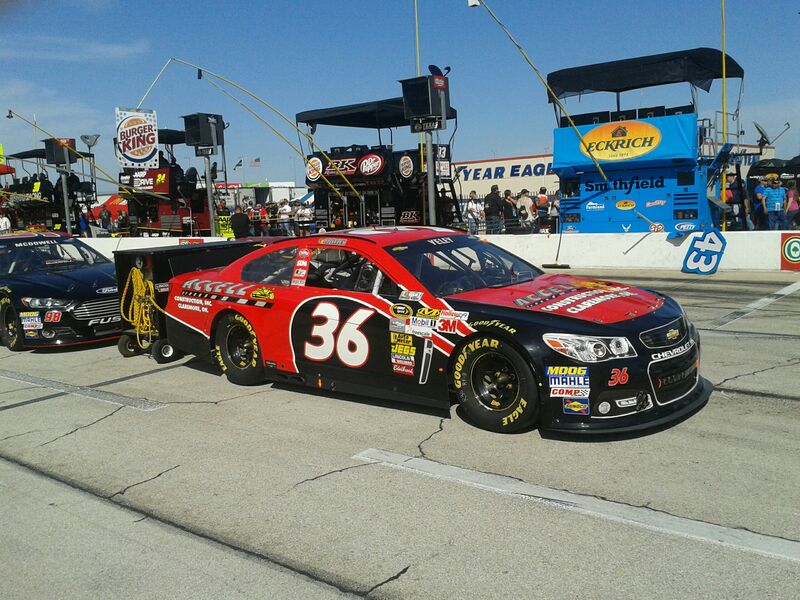 36 Accell Construction Chevrolet to a 34th-place starting spot. 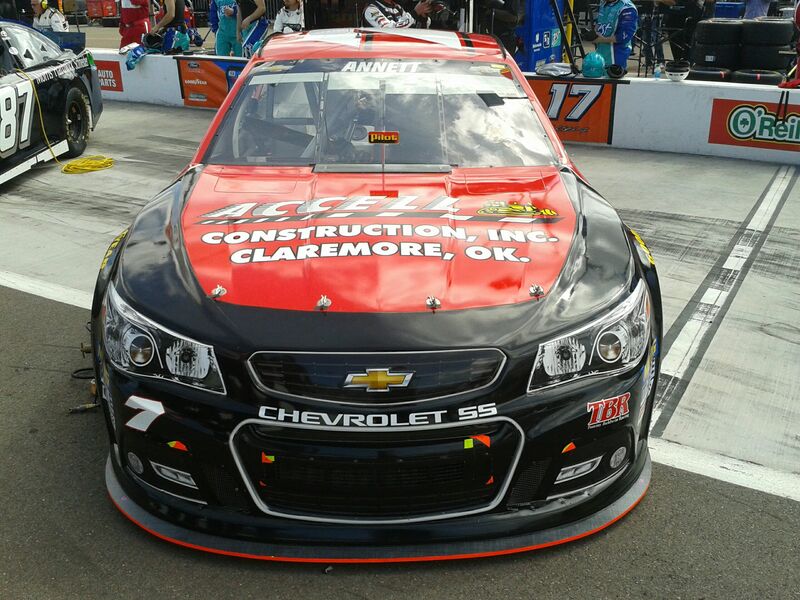 The NSCS had final practice on Saturday, and the Buckeye Bullet posted the 34th-quickest time. Blaney took the green flag for the Pure Michigan 400 from the outside of the 17th row. 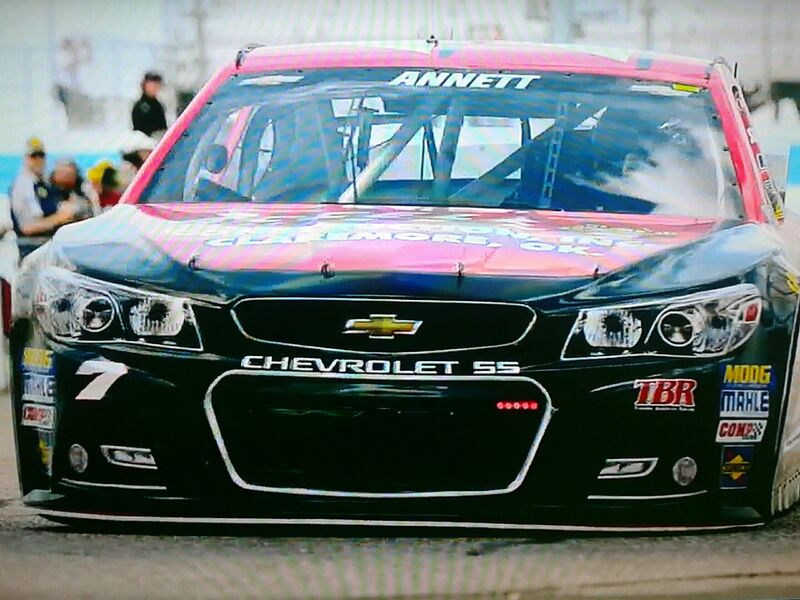 He moved to the 33rd position on lap two and radioed that the Chevrolet was really loose at the start of the run. 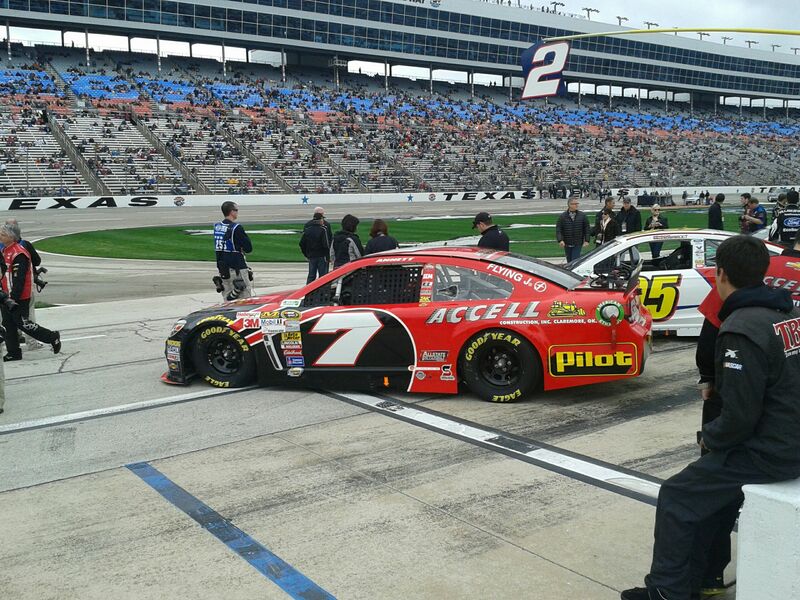 By lap 12, he told the crew that the Accell Construction Chevrolet was incredibly loose off the corner. 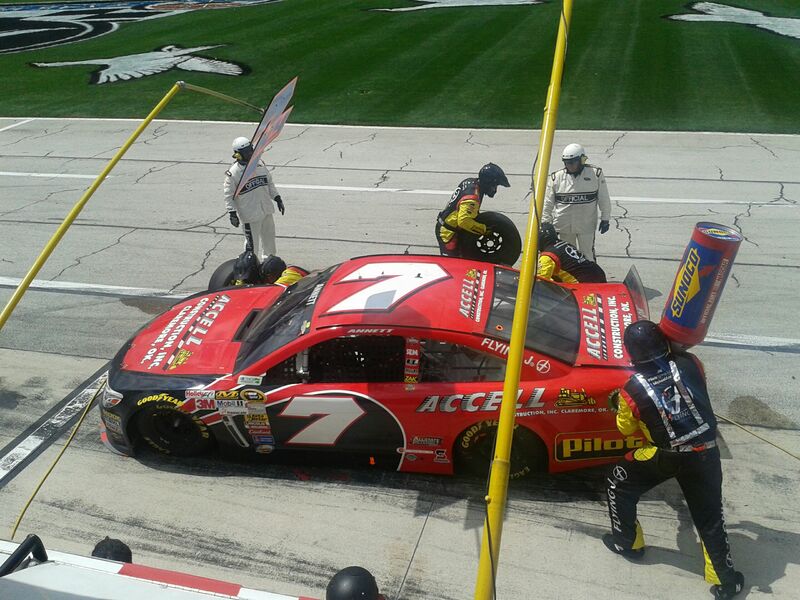 A debris caution waved on lap 30, and the Accell Construction team went to work to improve the handling of the No. 36 Chevrolet. The crew changed four tires and made major chassis adjustments. Blaney restarted from the 29th spot on lap 35. He fell back to 32nd in the next few laps and radioed that the TBR machine pushed with new tires, especially in the center of the corner. The second yellow flag waved on lap 54, and he explained that the car wasn’t rotating in the center. The TBR crew made another four-tire pit stop and chassis adjustments. The No. 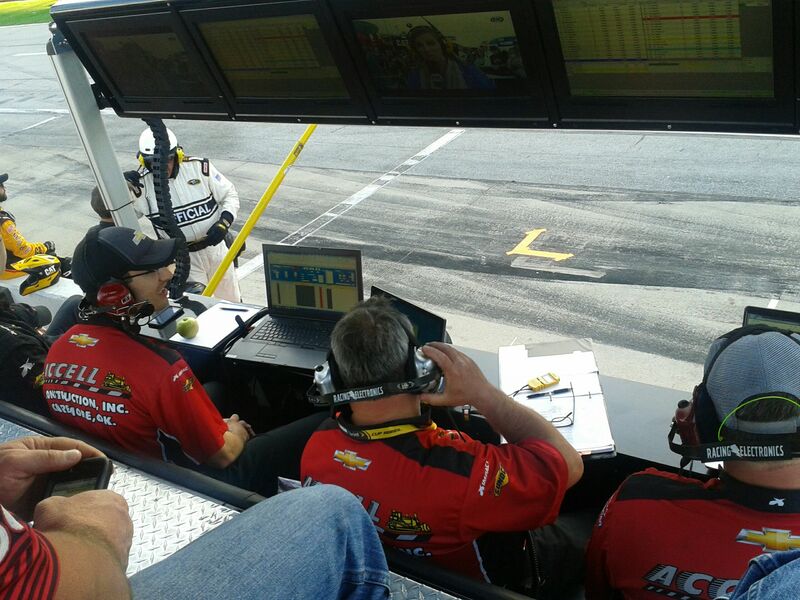 36 Accell Construction Chevrolet restarted 28th but fell to 35th in five laps. Blaney told the crew that the car was spinning out everywhere and the back was slipping around the corners on every lap. Green flag pit stops started on lap 84, and Blaney drove up to 17thbefore pitting on lap 88. The TBR team changed four tires and made a wedge adjustment. Blaney returned to the racetrack one lap down in the 35th position. 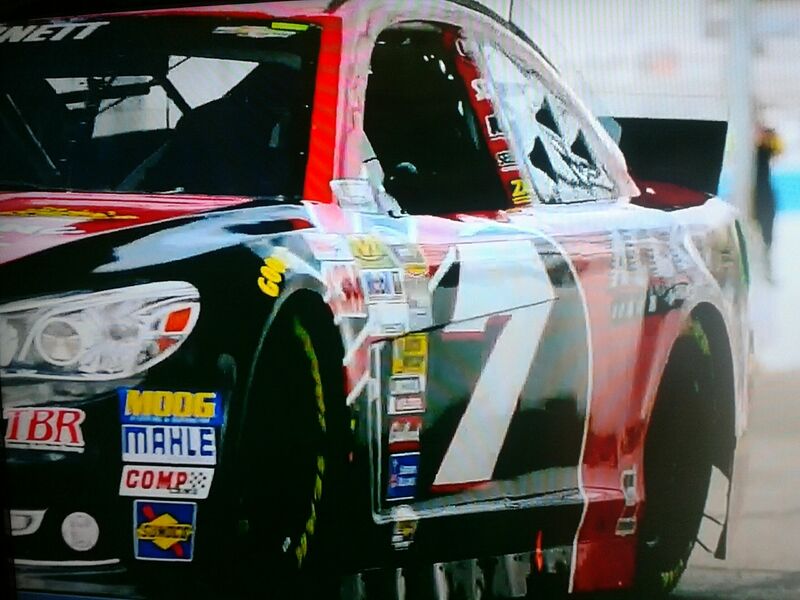 Unfortunately, he was called down pit road for a pass-through penalty for an uncontrolled tire in the pit box. He drove down pit road on lap 94 and fell a second lap down. The Hartford, Ohio native radioed that he almost lost it in turn two on lap 96 and continued that the wedge adjustment made the No. 36 Accell Construction Chevrolet’s handling worse. Another caution was thrown for debris on lap 104. The TBR team decided to stay on the racetrack and receive the wave around. Blaney drove passed the pace car and restarted 35th, one lap down. On lap 120, Blaney reiterated that the Chevrolet was very loose. Crew Chief Philippe Lopez called his driver down pit road on lap 127 for a green-flag, four-tire pit stop and an air pressure adjustment. These adjustments made the Accell Construction Chevrolet tighter through the center of the corner, but by lap 153, Blaney explained that the car was getting loose after starting off tight. As green-flag pit stops began, Lopez called Blaney down pit road on lap 168. Unfortunately, the No. 36 Accell Construction Chevrolet ran out of fuel on the backstretch on lap 167. Unable to coast onto pit road, NASCAR Officials called a caution. Blaney was pushed to his stall and the team filled the car with fuel. The crew changed four tires and made more adjustments while trying to the engine re-fired. After a short struggle, the No. 36 Accell Construction Chevrolet restarted. Blaney took the green on lap 173 from the 34th position, now five laps down. By lap 176, Blaney ran his fastest time of the race and continued to run times faster than the cars around him. The No. 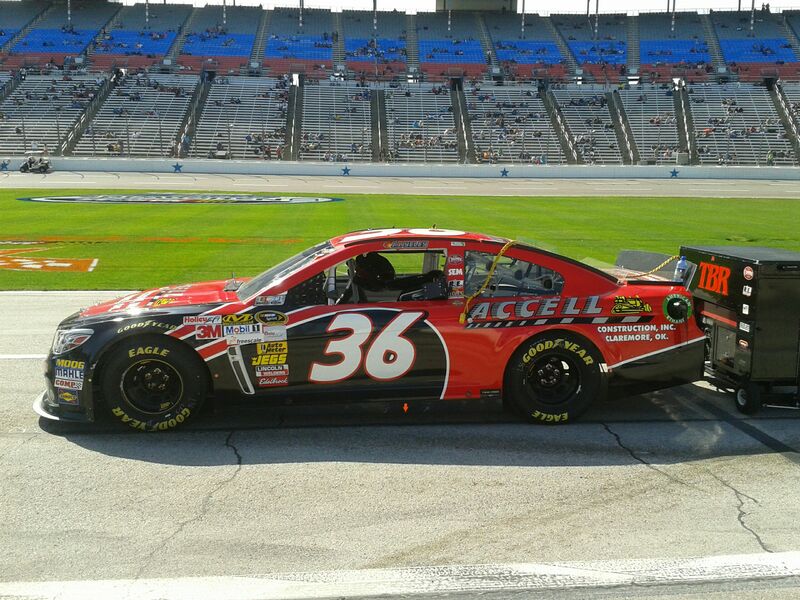 36 Accell Construction Chevrolet tightened up but still clicked off fast lap times. The final caution of the 400-mile event waved on lap 198. Unable to make more than one green-white-checker finish, Lopez called Blaney down pit road to top off the fuel and make a trackbar adjustment to the TBR Chevrolet. Blaney restarted 34th, five laps down, and moved to the 33rd position when the checkered flag dropped. The 33rd-place finish kept the No. 36 team in the 32nd position in the NSCS Owner Points, 74 points behind the No. 34 in 31st. 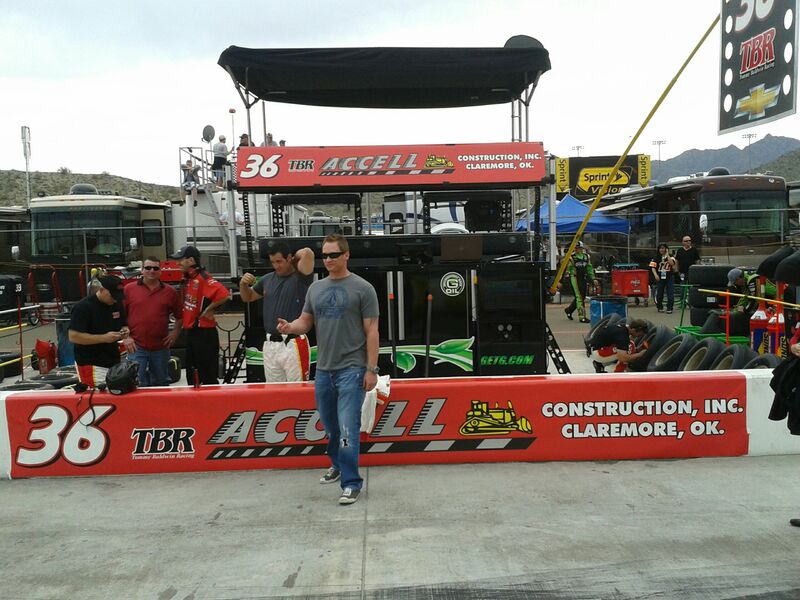 The TBR team is now 60 points ahead of the 36th position and locked into the top-35. Blaney also held onto the 32nd position in NSCS Driver Owner Points. He is nine points behind Casey Mears in 31st and 27 points ahead of Andy Lally in 33rd. Blaney will wheel the No. 36 Golden Corral Chevrolet next weekend for the IRWIN Tools Night Race at Bristol Motor Speedway.